The district of Greenwich, is known for the meridian line, which crosses it and acts as a reference for standardised Greenwich Mean Time throughout the entire world. 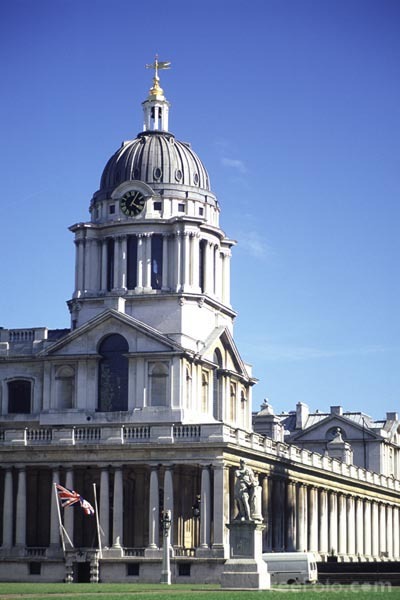 Greenwich is also home to the Naval College and the Cutty Sark. The Richard Rogers designed Millennium Dome is the largest domed structure in the world. 1 km in circumference, 50 meters high, with a ground surface of 8 hectares, and a capacity for 50,000 people. VIEW: More images from the category Greenwich and The Millennium Dome .